This time we've got something of a first for this year's Pin Pal Club - an AA single. 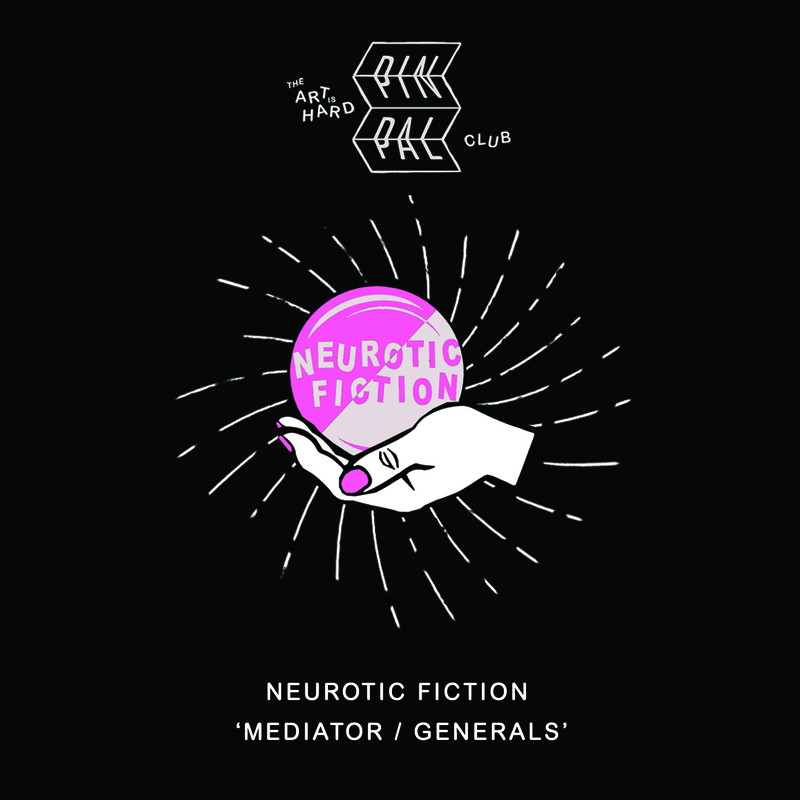 Neurotic Fiction sent us two songs and we liked them both so much we thought we'd just put the pair out. Today we're sharing the first track, Mediator - a blink and you'll miss it bundle of jangly joy. The band are currently based in Bristol, Cardiff and Exeter and have been members of many of your favourite bands. Collectively their CV includes the likes of Twisted, The Fairweather Band, Deadlines, The Bellamys and Personal Best. The project was originally started as an excuse for "four friends to hang out and write music", the outcome of which was a very good EP of songs "learnt and recorded in one weekend" and released on the excellent Riots not Diets. Mediator & Generals are both a clear progression from those early recordings and have got us hoping that Sean, Livi, Rory and Rosey find time to start hanging out more regularly. 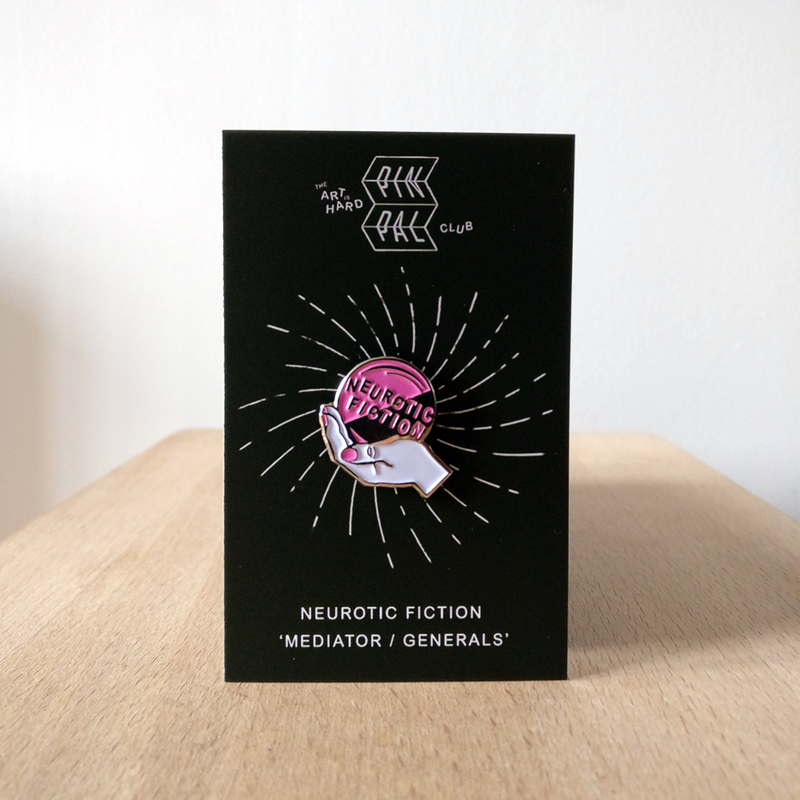 PINPAL8 - comes with backing card and download code. We don't have a proper photo yet because these are due to arrive tomorrow. They'll basically look like the image but 10x cooler. You'll get an instant download of the two track single.